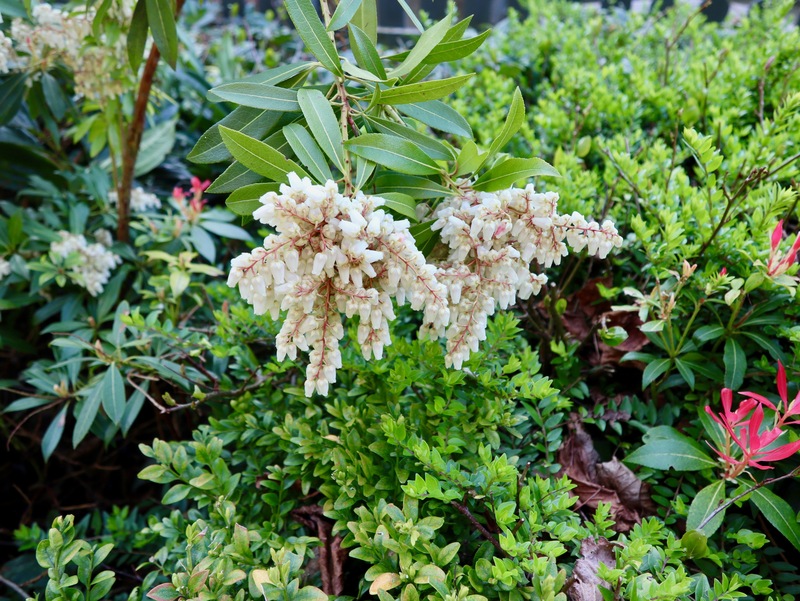 March 28th – Also early this year along with most other stuff are the pieris flowers and bright read leaf tips. 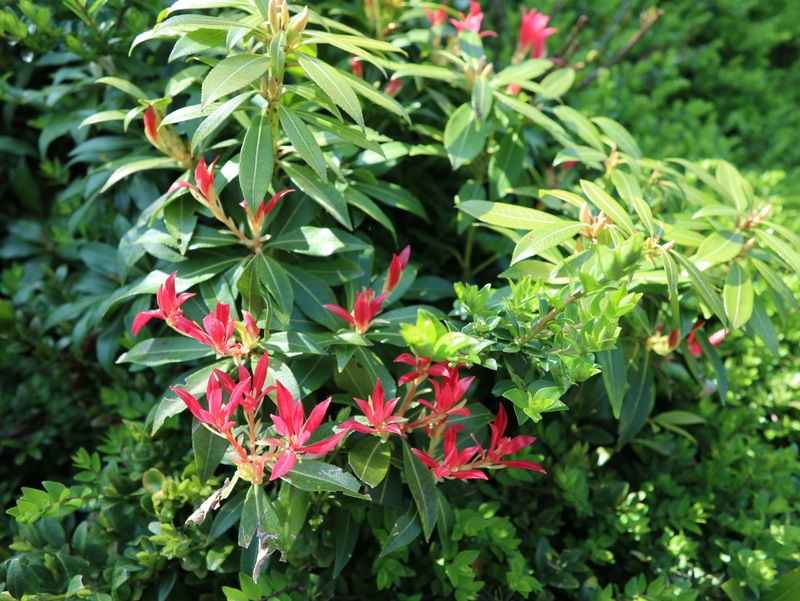 This gorgeous ornamental shrub – sometimes called fetterbush – is grown a lot in gardens and in beds on industrial estates and parks for no other reason than well, it’s stunning. This example was spotted in an otherwise anonymous scrub beside the cycleway near the Euston Way pub in Telford. 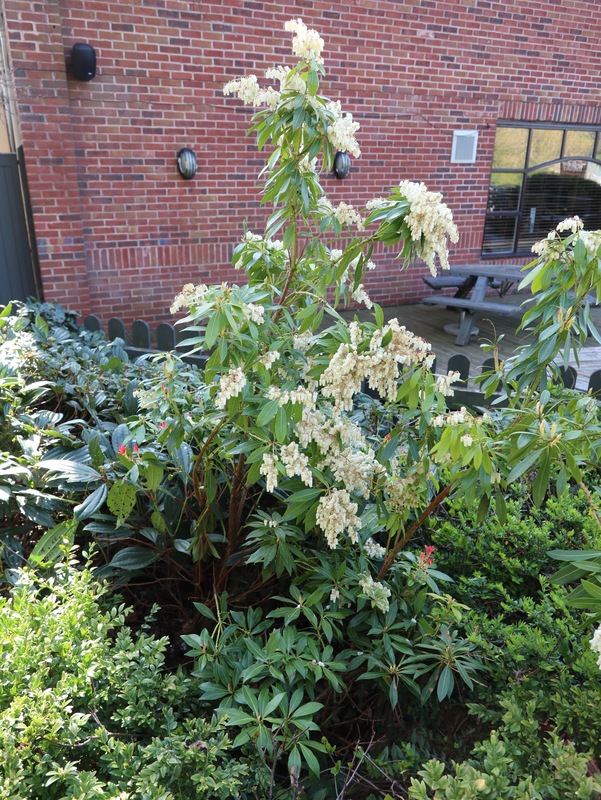 This is pretty much a fortnight earlier than it was last year, when I spotted the same shrub in Wednesbury. 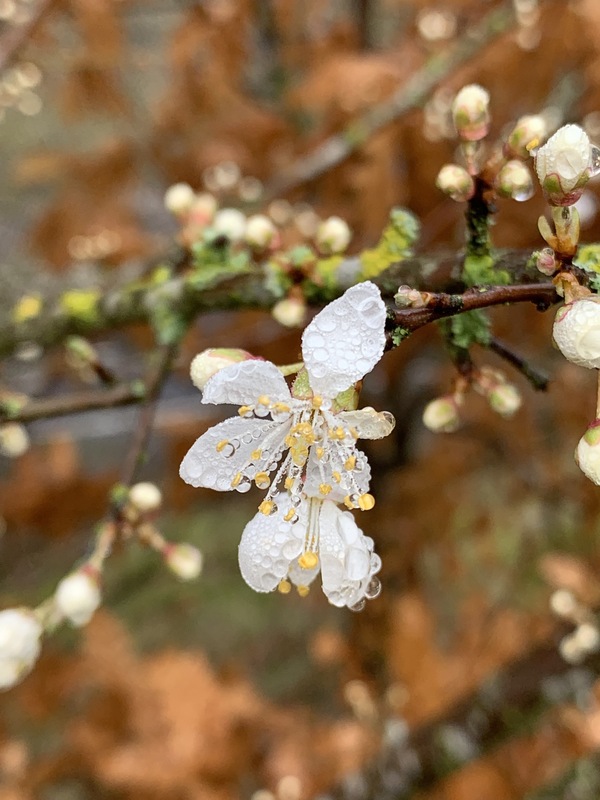 February 25th – On the cycleway at Telford, the blossom I spotted last week was now fully out, and absolutely gorgeous. Remember, it’s still just February. This is astounding. 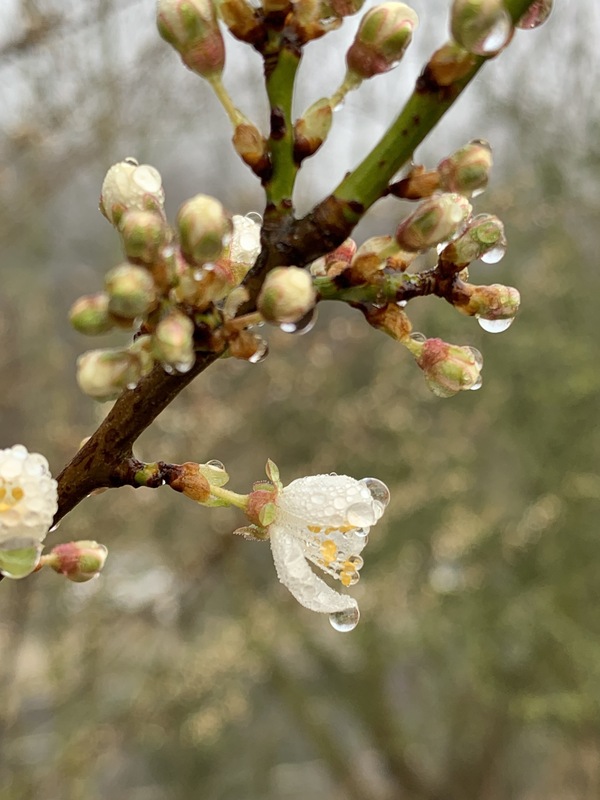 I’m told its cherry plum. It’s absolutely stunning. 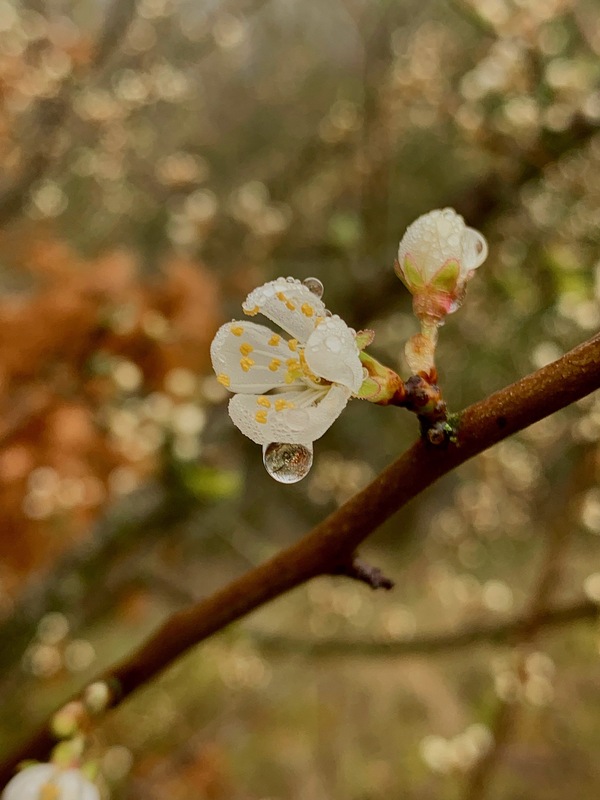 February 14th – Unexpectedly encountered on a Telford cycleway, this hedgerow blossom. 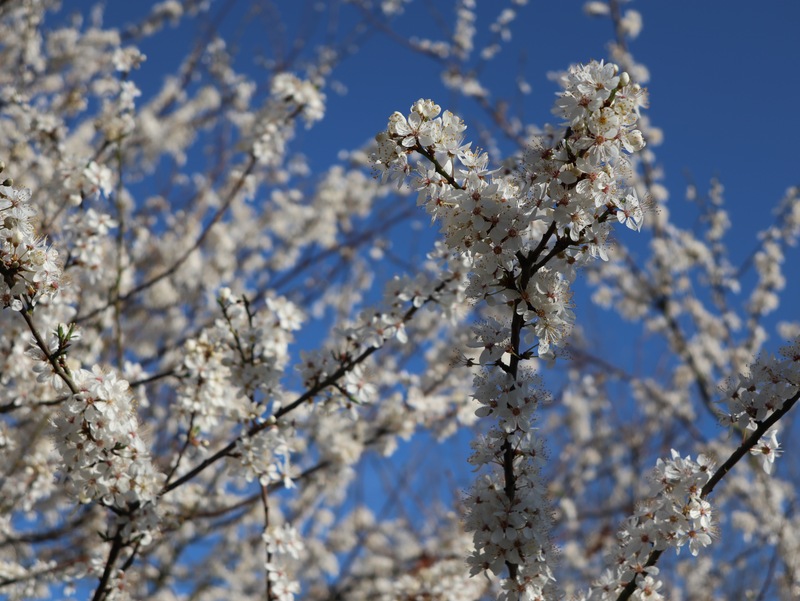 It’s lovely, crazy white, and almost insubstantially thin, like apple blossom. I have no idea what it is. 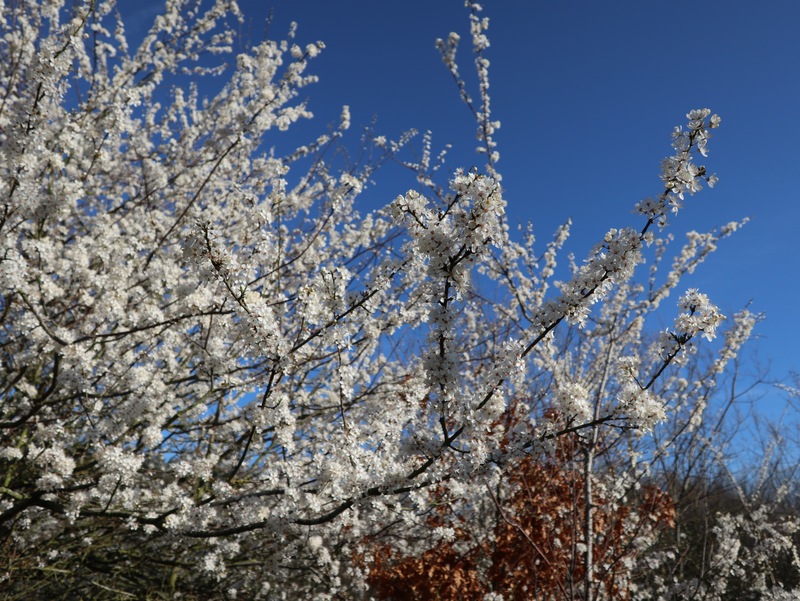 the tree is certainly flowering before its leaves have grown. Don’t think I’ve ever seen this before, but the tree isn’t alone in its flowery beauty; so it’s not just an aberration. Speckled with water droplets from the quite thick mist, this was a beautiful and unexpected delight. 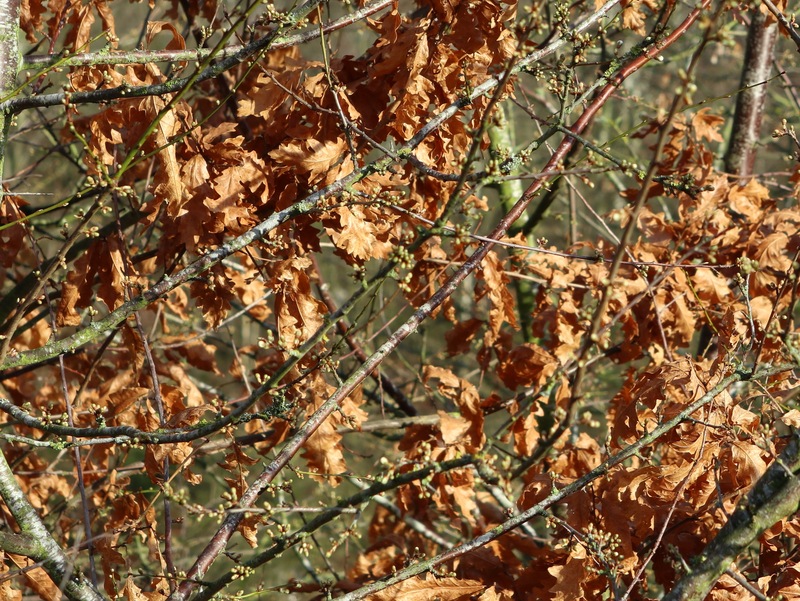 February 4th – I’ve always been puzzled why it might be that some deciduous trees don’t shed their dead leaves in autumn; the summer growth dies and goes brown, but doesn’t drop. Someone asked the same question on social media over the weekend, so I thought I’d look into it. The characteristic is called marcescence, and is exhibited mainly by oak, beech and hornbeam in the UK. It’s not clear what the evolutionary purpose of this curious feature is; it could be to shelter leaf buds from browsing animals like deer, and indeed, some oaks are only marcescent on lower boughs. Another theory says that the leaves attached to the beaches have their goodness absorbed back into the tree over winter, which is more efficient than them dropping and relying on conversion from leaf litter. 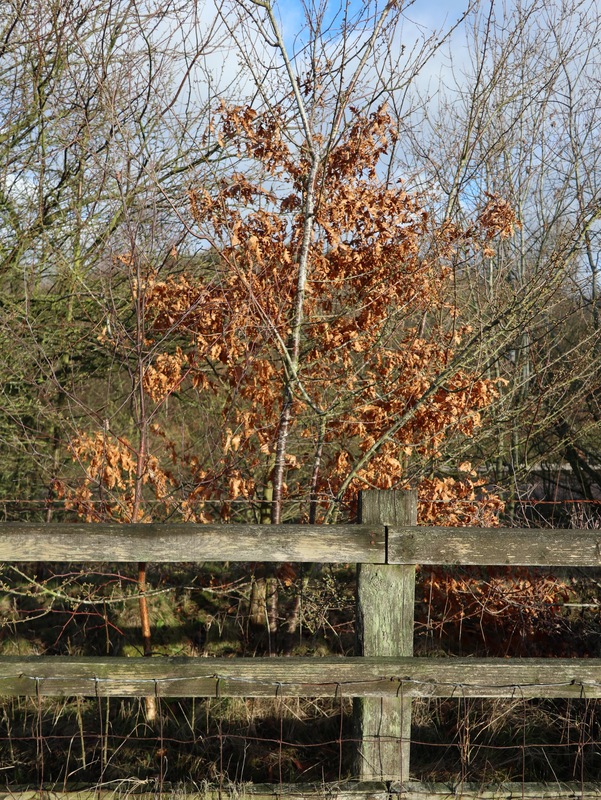 So I’m not really much wiser, but at least it has a name – and this marcescant oak was showing it’s dead leaves well beside the cycleway in Telford as I passed this morning, making me smile. 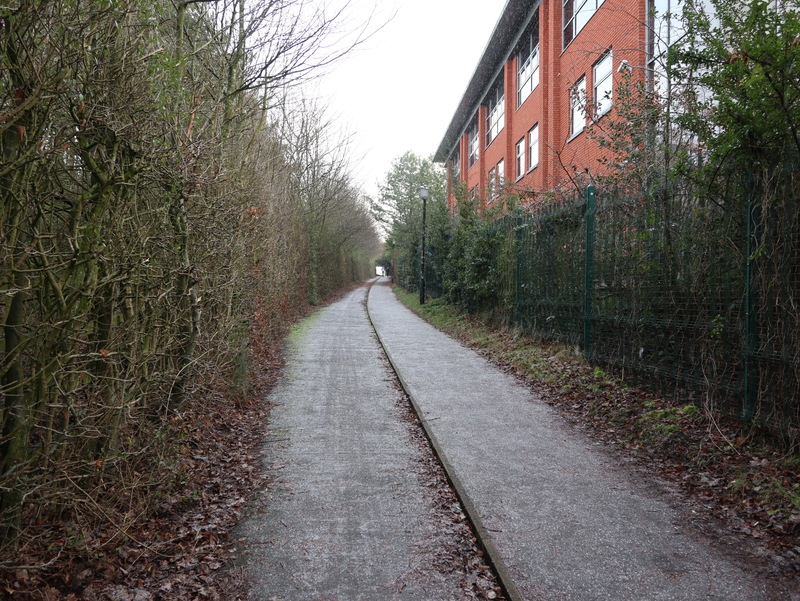 January 30th – Heading to Hortonwood in the morning, I alighted in Telford in a snow shower that didn’t last long, but rendered the cycleway beautiful with an icing sugar dusting of fresh, undisturbed snow. What made it even more gorgeous was at the same time, the sun was shining. An odd experience on a beautiful, cold and crisp morning. 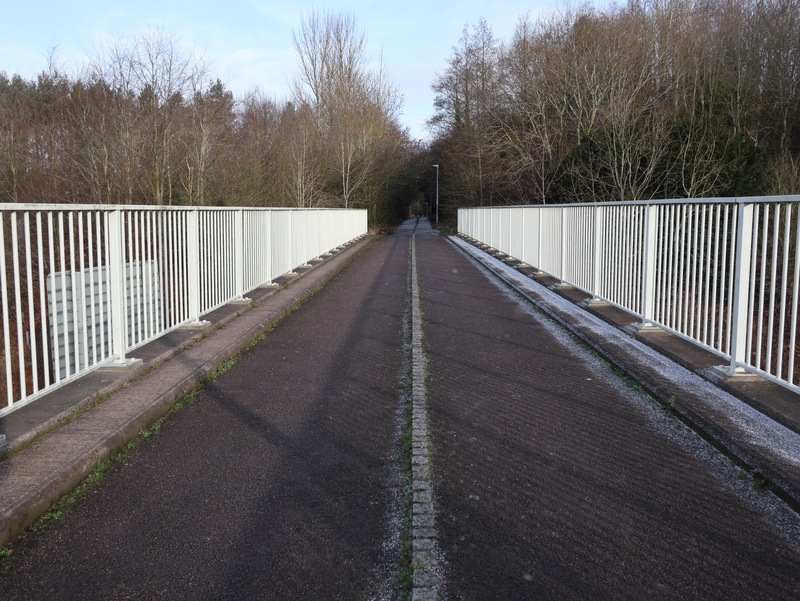 January 24th – I again had to call into Pelsall on the way to working this time took the cycleway from Station Road up the old railway line to The Butts. 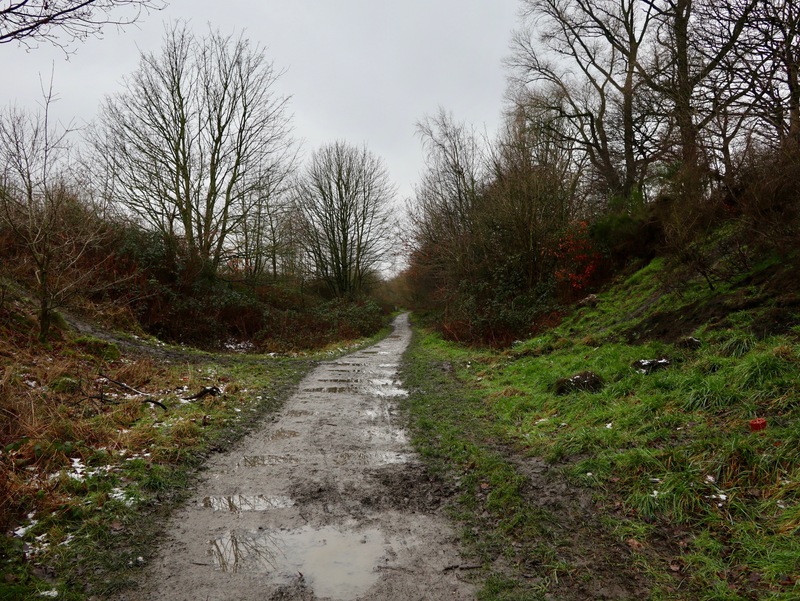 The route through the Goscote Valley is lovely and well surfaced, mostly, but up at Ryecroft near the cemetery the surface has broken up and going was heavy and muddy. 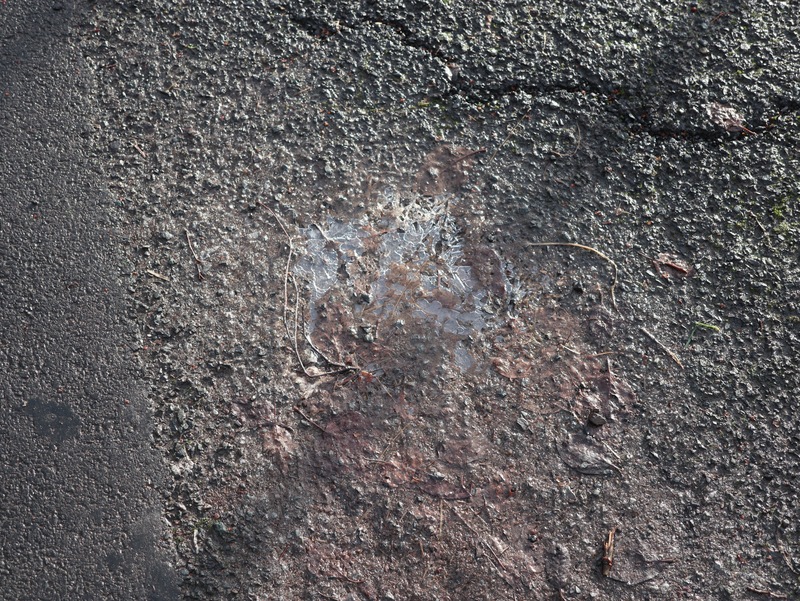 I’m not sure who’s responsible for this section, but if its the council I shan’t hold my breath for any resurfacing at the moment. Best avoided in the wet, I think, from now on. 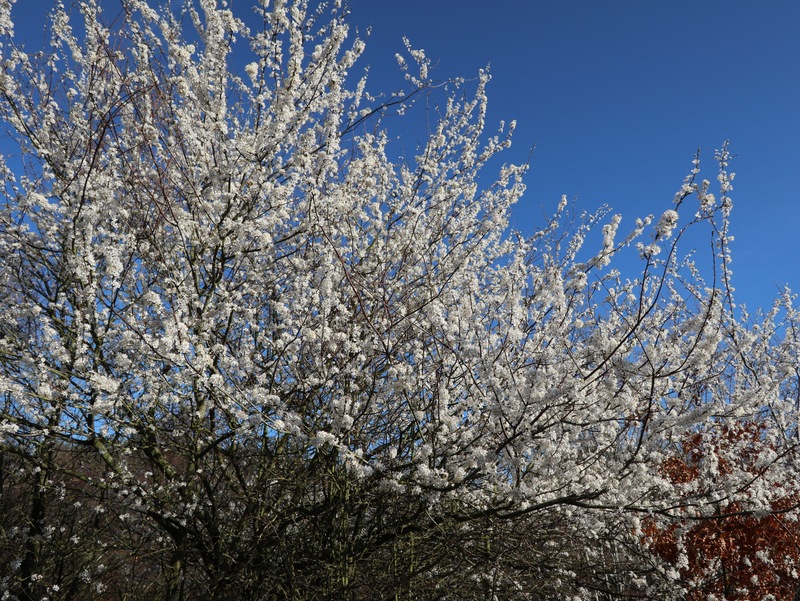 January 22nd – This winter has been so mild that I’ve not got used the cold yet, and neither have I yet regained my confidence in my winter tyres. 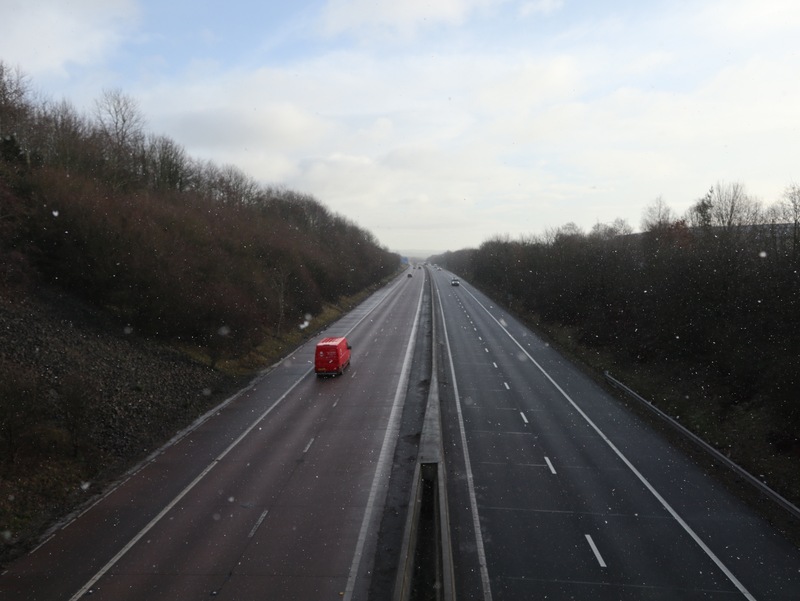 A morning journey to Telford was chilly and felt precarious, with lots of black ice. 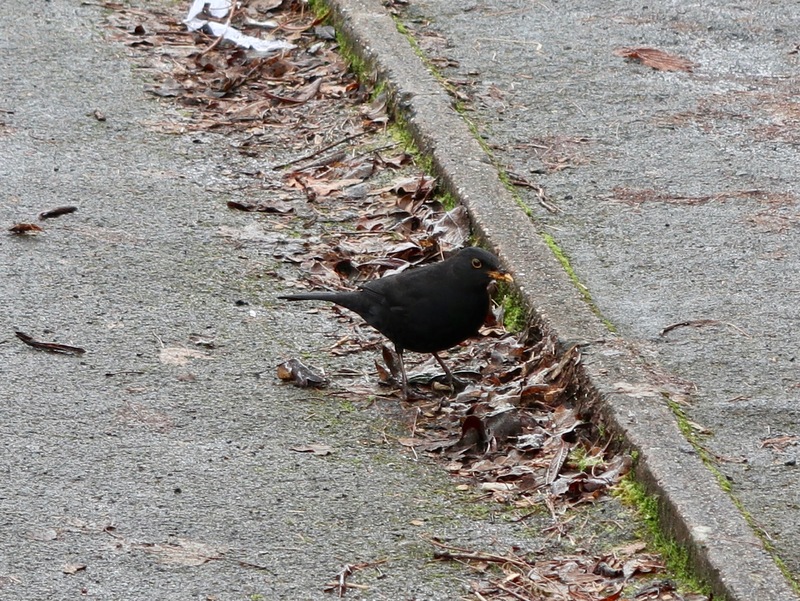 I stayed upright, though, and honed my skills for another season – but I must say, I felt sorry for the blackbird on the cycleway at Telford looking for scraps of food. He clearly didn’t want to move! 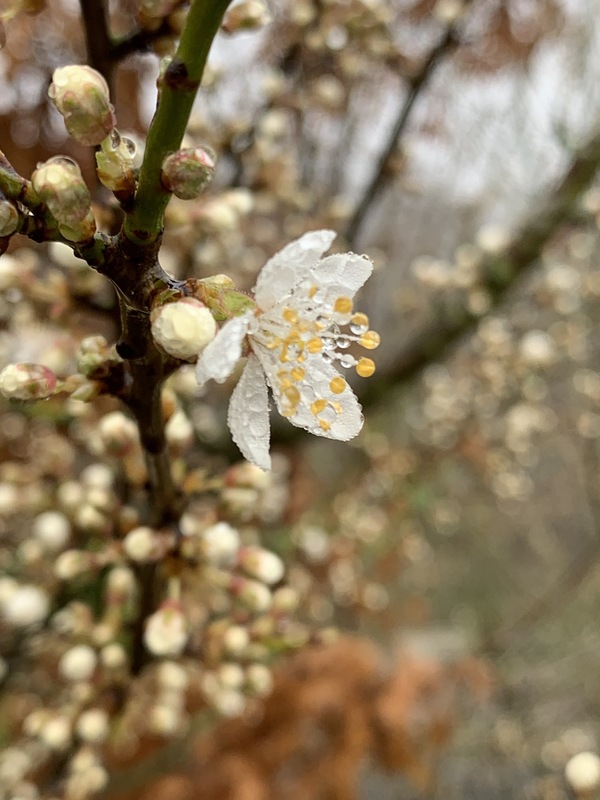 January 17th – Signs of spring continue to seep into my daily commute. 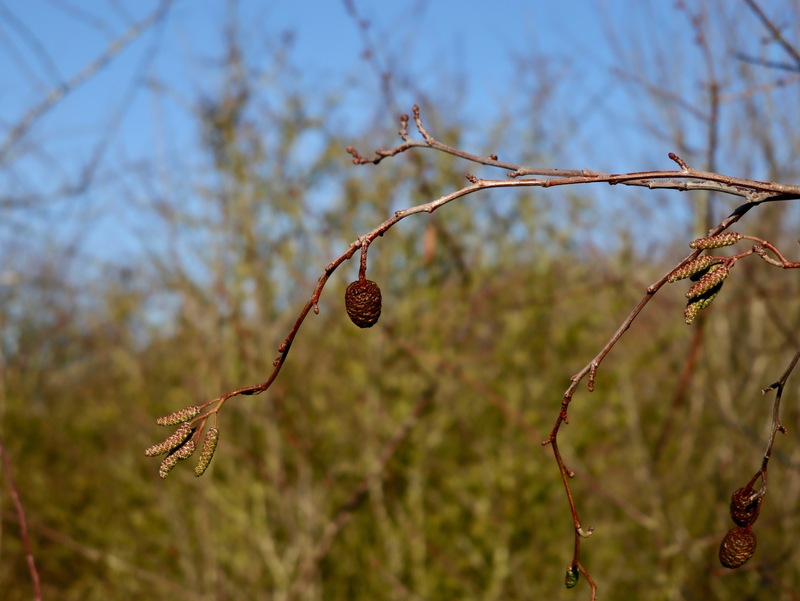 On a bright, sunny, blue-sky morning fresh, alder catkins are growing, ready for spring next to last year’s fruit – female catkins which grow to become Coe-shaped and release seeds in winter, in the same was as pine cones. 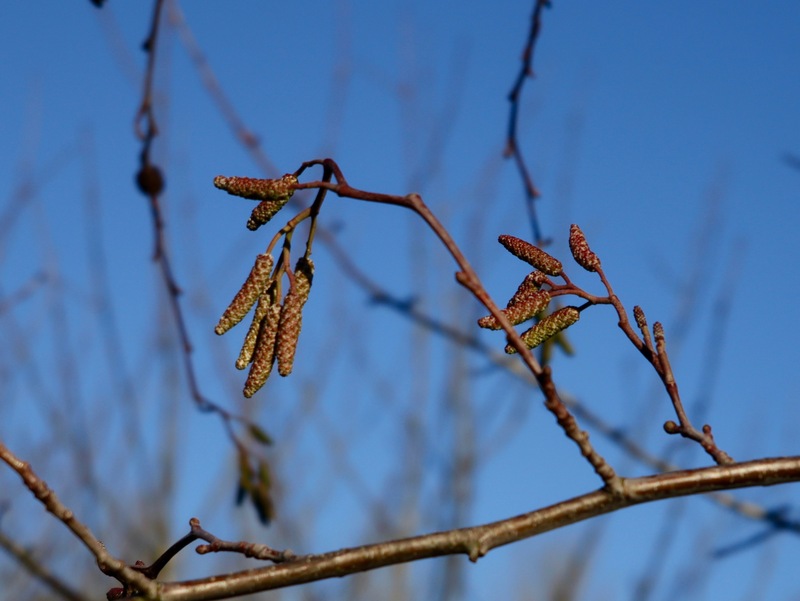 Catkins are some of the first tree blooms of spring, and always a welcome sight. November 27th – Coming down from Priorslee in Telford along the cycleway to the station past nightfall. The lighting here is still shrouded by the last remnants of the summer’s greenery and was changed at some point in the year for new LED fittings. The combination of the much more specifically directional light and the tree overhang was some remarkable tonight that I had to stop and take a picture. This image hasn’t been doctored in anyway. November 22nd – First really cold morning of the year I think, with lurking black ice and hedgerows and verges adorned with a hoar frost. It was the kind of penetrating cold that hurts your throat and forehead, and even though I was wrapped up, on the morning trail, towpaths and cycleways the -2.5 degree temperatures were still a little raw for me. Every year it takes time to re-adjust. I was certainly glad of the ice tyres this morning.